According to the report by "Human Rights and Democracy Activists in Iran”, on Sunday, June 24, 2012, some agents representing the intelligence service of the Special Court went to Evin Prison to summon Mr. Kazemeni Borojerdi to present himself in their center located on Zaferaniye street in Tehran to continue another illegal interrogation process. But Mr. Boroujerdi resisted this order, and had refused to comply; once again he was met with verbal abuse and suffered from being again physically beaten. An Intelligence agent referring to himself as Mehrnoush, along with several Evin prison guards visited the special ward of clergy within Evin prison. The Intelligence agent as well as the prison guards immediately began to harass and psychologically torturing of Mr. Boroujerdi to enforce him to accompany them. This compulsory special court meeting is always aimed to take false confession and to complete the repentance process while these demands are all based upon false statements which have been said against Mr. Kazemeni Borojerdi, so therefore he refused to attend any such court appearances which tended to their unsuccessful conspiracy mission. In the meantime, with his refusal to comply with them, Mr. Boroujerdi’s physical conditions, who is suffering from poor and deteriorating health issues such as heart and kidney diseases, became worse and he could not even to speak. It should be well noted that agent Mehrnoush who acts as an intelligence interrogator, is a well known acquaintance of Mullah Mohseni Ejehie and had actively participated in the unjustified killings of several political prisoners as well as prisoners of conscience and serial murders of Iran (1988-1998). Iran's religious regime has forcibly transported Mr. Boroujerdi, a prisoner of conscience to appear in the Special court on many past occasions. Each times, Mr. Boroujerdi has been bound in chains and met to face extreme psychological pressures, being interrogated without an attorney present to represent and defend him. Mr. Boroujerdi has formally declared that he refuse to attend any of these court meetings as this special court lack any legal validation in terms of being in compliance with international laws and international courts, and even current Iranian constitution. It is worth noting that Iran's current oppressive regime had applied the death sentence after Mr. Kazemeni Borojerdi's 2007 trial, which has been reprieved due to the extreme pressure brought on by the legal communities as well as human rights organizations on his behalf. 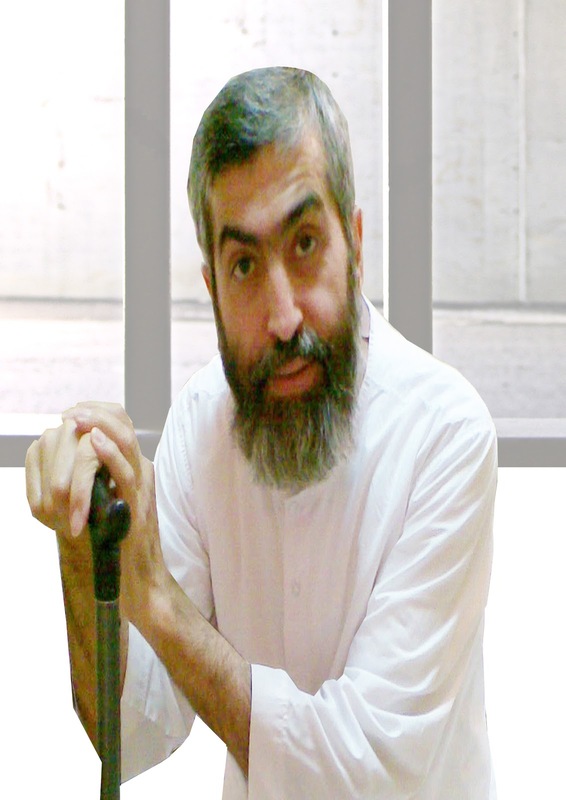 Mr. Boroujerdi was then sentenced to serve a term of 11 years imprisonment. Current with the writing of this letter, Mr. Boroujerdi has spent nearly 2200 days of imprisonment, 330 of these days held in solitary confinement within Iran’s notorious Evin prison's in special clerical ward without even one day leave for his medical treatment. Iran's supreme leadership has continued to implement their plan to gradually weaken Mr. Kazemeni Boroujerdi in mind, body as well as his spirit, only wishing to lead him to death. Actually, Mr. Borojerdi is a person of whom they confirm that he is a serious threat to the Islamic regime. "Human Rights and Democracy Activists in Iran" condemn all these threats, and have opposed both the psychological pressures as well as the physical tortures directed by mullah Ali Khameneyi the head of special court of clergy and at this time, request Human Rights Watch and the High Commissioner for Human Rights take prompt action to pursue Ali Khameneyi, the Iranian leadership, in United Nation security Council for his crimes against humanity.